Post your photos on Subcompact Culture's Facebook group! 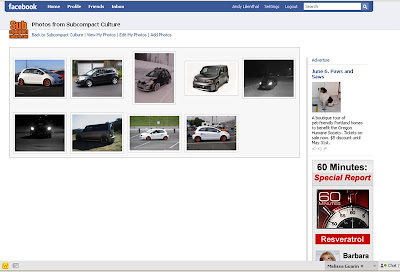 Don't forget: Subcompact Culture is also on Facebook! There you can continue to discuss small car stuff, but you can also post photos—including your own subcompact (or whatever car you happen to drive). I'd love to see some photos of your rides, so be sure to post them to the Facebook group!